← ARC (release May 23, 2017) Review: WED TO A SPY by Sharon Cullen ~ a spy marries a spy, each not of their choosing! 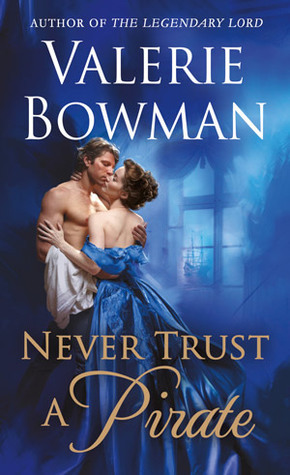 Just Released: NEVER TRUST A PIRATE by Valerie Bowman ~ get your fill of spies who pose as pirates, all under humorous circumstances ~ I felt I was tripping over them! Book: ARC copy provided by Netgalley and publisher to read and review. My Thoughts: Author Valerie Bowman runs a tight ship in this action-packed story of characters filled with secrets. She, herself, keeps secrets so well, that at the time I hear the truth, it is hard to believe! There are spies aplenty in this read. We know Cade is a pirate and spy. But whose side is he on? His twin brother Rafe spies for England. But does he? Rafe hasn’t seen his brother for ten years and suddenly he presents himself at his home. Highly suspicious movements, particularly when he keeps late hours, comes back to the townhouse battered and drunk. Whatever happened to the brother Rafe thought he knew? Some point out Rafe is the while sheep of the family while Cade is the black one. Cade is but covering the man he is, where neither Rafe nor the reader knows, at least, not entirely. Cade covers his activities by playing the gad about rogue. He’s more, much more than that as we become privy to his activities. Lady Daphne, Rafe’s wife, is not a snob like much of the ton. She is sweet, considerate of her staff and friendly. Humorously, she, too, is a spy, half French, half English. I’m sure her story is in the previous books of this series. A new Lady’s Maid comes to work for Lady Daphne, as her previous one leaves her service quite suddenly. Danielle is a spy, usually impersonating a cabin’s boy on a ship. She’s been doing that for years. She spies for General Grimaldi who has now set her up to spy on Cade. With a crash course on what a Lady’s maid does, she does an admiral job for Lady Daphne. Never having a friend before in her life, she warms to the lady of the house, Mary, one of the serving maids and the housekeeper. I think this is the most heart-warming part of the story. Danielle uses the money she makes at the Cavendish home to pay rent and supply her mum with medication. She has consumption. General Grimaldi has taken care of Danielle’s mum ensuring Danielle will continue spying for him. Where else would she get the money? Lafayette Baptiste is a man Danielle would like to kill. Apparently, Baptiste has lots of enemies because Cade is after him, too. The plot, itself, has lots of merit. Bowman builds an intriguing, quick-paced, tension-filled story evoking various emotions, some with laughter, others with fear and still others which make you believe in happy ever after–that good people find happiness. 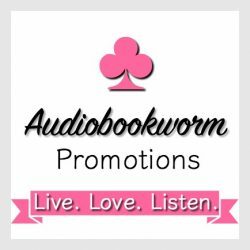 This entry was posted in Book Reviews, Historical Romance, New Book Release, Regency Romance, Romance and tagged Book Review, Never Trust a Pirate, Regency Historical Romance, Valerie Bowman. Bookmark the permalink. 3 Responses to Just Released: NEVER TRUST A PIRATE by Valerie Bowman ~ get your fill of spies who pose as pirates, all under humorous circumstances ~ I felt I was tripping over them! I was so happy to be able to review another one of this wonderfully amusing series. I gave it 5 stars which doesn’t happen often! Another great review of Never Trust a Pirate by Valerie Bowman. Thank you for the reblog, Brenda. I didn’t follow any of the series before. Better late than never. I’m off to read your review and well as the other blogger’s.